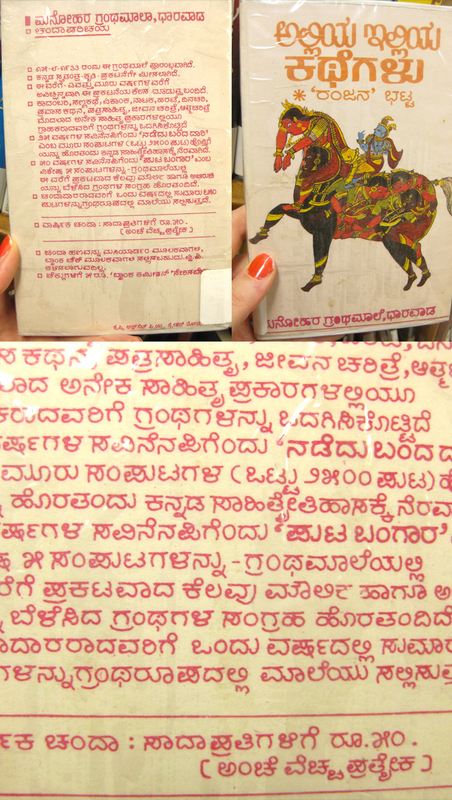 Here’s a sweet little surprise – an all-handwritten book cover, front and back, in informal Kannada handwriting. The letters are quite wide, the loops very large and pronounced, and the upstroke of the hat has been left almost completely flat – I am really enjoying this style! Book is Alliya illiya kategalu : katha-sankalana by Ranjanna Bhayya.